Kandy Bichler, age 55, of North Park Street, Port Washington, WI died Sunday, May 2, 2010 at Columbia St. Mary’s Hospital-Ozaukee Campus in Mequon due to acute health issues. She was born on Valentine’s Day February 14, 1955 in Sheboygan, daughter of Erwin and Esther Justus Thiel. 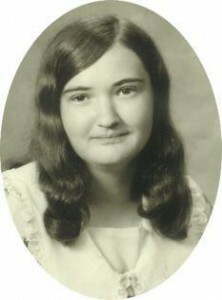 She grew up in Sheboygan and graduated in 1973 from Sheboygan North High School. She took a job in Fredonia where she had met her husband. On September 2, 1988 she married Jeffrey J. Bichler of the Town of Port Washington in Port Washington. They briefly lived in Belgium and later moved to Port Washington. She had done custodial work for the Wilson House in Port Washington and at the Port Washington Senior Center for almost the past 20 years. She was also currently a lunch room supervisor at the Saukville Elementary School. She was considered a great cook and very creative regarding her home and children. She valued working from scratch and working with what she had. She enjoyed crocheting afghans and participating in the Book Talk book club at the W.J. Niederkorn Library in Port Washington. Her family was extremely touched when they became the first recipient of the Habitat for Humanity Home in Port Washington. She is survived by her husband Jeff, daughter Kayla Bichler of Sheboygan and son Jesse Bichler of Port Washington; her grandson Benjamin Bichler, sisters Kathy (George) Goll of Sheboygan Falls, Shirley (Jerry) Heibel of Sheboygan and Elaine (the late Raulph) Arpke of Sheboygan Falls; her brother Keith (Julia) Thiel of Del Valle, TX, father-in-law Joseph N. (the late Arline) Bichler of the Town of Port Washington, nieces, nephews, other relatives and friends. She is preceded in death by her parents, a brother Jimmy Thiel, brother-in-law Raulph Arpke and mother-in-law Arline Bichler. Funeral services will be held at NOON Thursday, May 6, 2010 at the First Congregational Church, 131 N. Webster Street, Port Washington. The Reverend Jeff Suddendorf will officiate. Interment will take place at St. Mary’s Cemetery in Port Washington. Visitation will be from 10AM-NOON Thursday AT CHURCH. Memorials to the family appreciated.